This excellent hotel in Braga is located in a privileged area close to historical monuments, museums and the Bom Jesus natural park. Our fully equipped, modern rooms are the perfect place for restful stays. 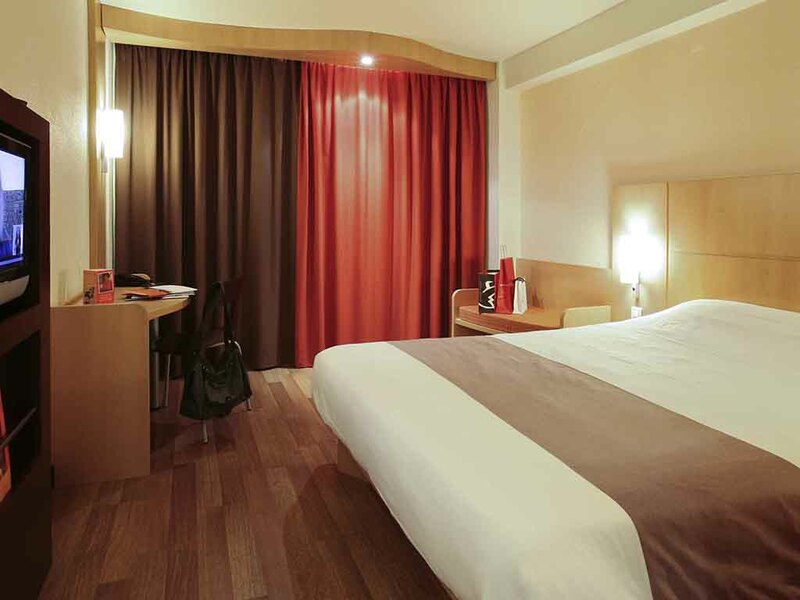 The Hotel ibis Braga Centro offers a 24-hour bar and snack service, WIFI access and private parking, in addition to three meeting rooms. Hotel situated right in the heart of the historic center, near the main monuments and the city's shopping area. Discover our My Tasty Menu; it's simple, healthy and delicious. There is a drink and hot and cold light snack service that caters to all tastes. You can order at the bar or at reception 24/7 to enjoy whenever and wherever you like.